Here are some grandfather quotes you could add to your scrapbook, along with your personal grandfather sayings and messages. A grandfather is not just a role model, but also a great friend. Grandfathers are magicians who create wonderful memories for their grandchildren. Spending time with my grandfather, were among my fondest childhood memories. Grandfathers pass down words of wisdom to their grandchildren. I regret not spending enough time with my grandfather. All grandfathers possess a limitless amount of interesting stories gathered from the past. We all know that grandfathers are wonderful human beings. Well, here are a few quotes that mention that fact. Grandfathers are wonderful because they listen and show genuine interest in what you have to say. A grandfather finds both joy and peace in his heart each time a new grandchild is born. My grandfather was so wonderful because he let me be a kid and even joined in on the fun. My grandfather has the wisdom of an owl, the sense of humour of a headless chicken, and the heart of an angel. In the eyes of their grandchildren, grandfathers are professional pranksters and veteran comedians. Have fun sharing some of these grandfather quotes with your wonderful grandpa. I wish I had the opportunity to share it with my grandfathers. Grandfathers are known to act silly, especially on their birthdays. Even on their birthdays, grandfathers refuse to be honest about their age. A grandchild is the best birthday gift you could ever give a grandfather. Grandfathers get way with twice as much on their birthdays. Each year, I give my grandfather a birthday card with an age a few years below his actual. You'd be amazed how this intentional mistake energizes him. Losing a grandfather is always tough. Here are some quotes that talk about the passing of grandfathers. Each time a grandfather passes away, the world becomes less funny. When I lost my grandfather, I also lost my best friend. I lost my dear grandfather, and with heavy tears I sit here and cry. We had so much left to do, my only question is why. My grandfather passed away, and the pain is just so real. I can't fully explain, how I truly feel. Often times, the loss of a grandfather results in less frequent family gatherings. This proves that grandfathers are great promoters and entertainers. These quotes talk about the unique relationships between grandfathers and their granddaughters. Granddaughters look to their grandfathers for comic relief. Granddaughters use grandfathers as their entourage in both real life and their imaginary fairytales. Whenever a grandfather sees his granddaughter, he can't help but smile. Grandfathers have a really tough time saying no to their granddaughters. Granddaughters may always depend on their grandfathers. They'll take them shopping when they're kids and pick them up from a club at 3am when they're a bit older. I thought about my past relationships that I experienced with my grandfathers when writing the following grandfather/grandson quotes. An amazing adventure is always moments away whenever a grandfather and his grandson get together. Every grandson enjoys being his grandfather's sidekick. Grandsons dream of being old and wise just like their grandfathers. Grandfathers dream of being young and energetic just like their grandsons. A grandfather and his grandson are able to communicate without uttering a single word. The tools required to accomplish this include: 2 fishing rods and a tackle box. Grandfathers teach their grandsons about life one sling shot at a time. I hope these funny grandfather quotes make you and your grandpa laugh. My grandfather snores, whenever grandma does chores. Grandma is the only person that is able to predict grandpa's pranks. Grandfathers fart in public like it's their royal right and duty. All grandfathers think they're much better looking than they actually are. My grandfather was a gambling man who loved boxing. I saw him bet on a match when I was just six years of age. I was in it, I won, and he bought me ice cream to celebrate. Here's a few great grandfather quotes for those of us who are lucky enough to have one (or two). A great grandfather is an immobile source of disposable income. My great grandfather tried to get a job at a skincare company. They said no, but gave him 10 bucks for his before shot. You don't need a history book if you're fortunate enough to have a great grandfather. When talking with your great grandfather, be prepared for him to randomly fall asleep. Your great grandfather is the only person who is technically allowed to spank your grandfather. 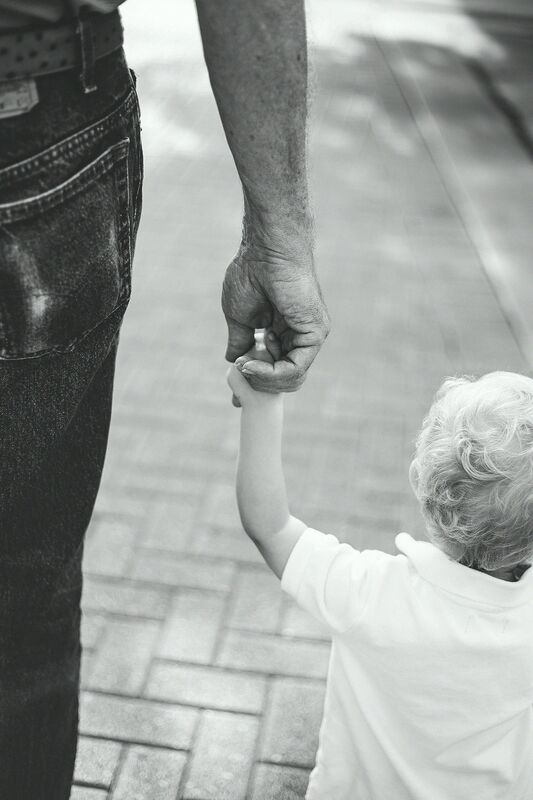 Share these Grandfather Day quotes with your grandpa on his special day. Don't forget to spend the entire day with him, I'm sure he would love that. Grandfather day is whenever the grandkids come over. Laughing grandchildren have the power to make any Grandfather Day extra special. Never forget about your grandpa on Grandfather's Day because those days are numbered. Listen to his stories on Grandfather's Day, and you may actually learn something. Thanks for reading these grandfather quotes. I hope you found a few that you will share with your wonderful grandpa(s).